An ocean of websites is building each day. And, you get a question in your mind that how would I survive in this competition. Adopting modern design practices and trends is a thoughtful step and Sketch to HTML conversion is a key to attain it. This conversion process transforms your static image into a dynamic, secure and fast loading website. How Venturing With Sketch To HTML Provider Can Be Beneficial For Your Business? Gone are the days when designing for the web was passionless and insipid. With the changing trends in design and stiff competition amongst web industry, it has become incumbent to include designs that bring spark to your business. The modern designing trends are in vogue these days and Sketch to HTML conversion is one amongst them. This conversion technique takes the process of transformation to the next level and helps in the creation of quick loading websites that are compatible with multiple devices. The conversion process involves a sequence of steps and one of the most important steps in the designing process is converting Sketch to HTML. In this tutorial, we will take you towards some of the approaches that will help you handle the conversion process wisely. Before you board on your journey to Sketch to HTML conversion, you must have a clear understanding of the basics. Before moving ahead, let us get an idea of sketch and HTML in detail. Sketch was incepted as a graphic editor by a Dutch company. Sketch is a robust tool especially used by programmers working on the Mac platform. It was first launched in September 2012 after which it also grabbed an Apple design award. An alternative to Photoshop, Sketch is gaining more popularity amongst web developers owing to its flexibility and simplicity of use. The platform also shows its contribution in creating mobile websites. 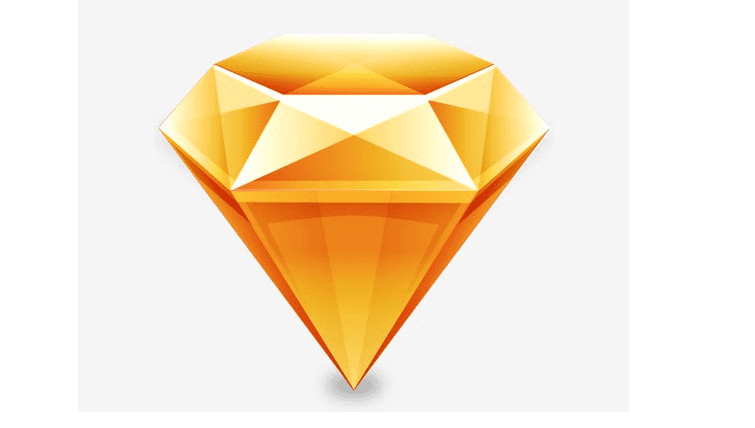 Designing for Android and iOS also becomes easy with Sketch. In order to improve productivity and user experience in design, Sketch makes it easier to write plugins. There are many plugins available to create styleguides, generate content and batch-rename layers. Sketch also comes available with a huge library of unique symbols. These can be used for icons, UI elements and others. Also known as Hyper Text Markup Language, HTML is a proper coding language that ensures formatting of text and images so that browser displays them as intended. 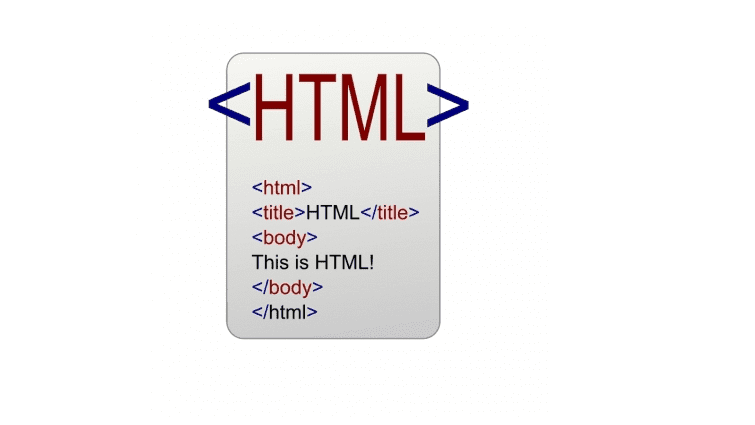 HTML continues to be the prevailing programming language known for its advanced functionality. This language is supported by most of the browsers. It makes use of preset tags. It is important to get a know-how on HTML tags before converting Sketch to HTML. During the conversion process, it is important to make use of the latest version of HTML, i.e. HTML5. This will result in the highest compatibility. Designers give preference to high-definition over normal displays. Sketch offers the option to resize objects. Sketch, being a vector based graphic does not pixelate whereas other do. Sketch allows you to create multiple artboards and work simultaneously whereas in PhotoShop, we can only work on a single canvas at a time. Sketch features a built-in layout grid. Sketch makes it easier to pin a transparent layout guide and changing the column. Sketch is a lighter version than PSD. This eradicates the concern of file size. With the help of Sketch, logos can be designed easily. Sketch has an upper hand on wireframes due to the availability of UI kit. The UI is also intuitive and easy to understand. With these advantages, Sketch to HTML conversion forms the ideal choice for being easy to use, scalable. Sketch is quick with faster workflow. It also delivers better design results. When it comes to your Sketch designs to HTML code, there are multiple steps to consider. Therefore, before moving ahead, it is important to understand all the steps. The process of transforming a Sketch design involves different steps. In short, it is about converting Sketch art-boards and layers into bundles of files that can be in the form of CSS, HTML, font files and so on. After the bundle is generated, website speed optimization is done. This is done to improve the website loading time. This is a simple and straightforward process. Click on “Export HTML Code”. Code Package: It is a zip file that has HTML, CSS files and other images and fonts. 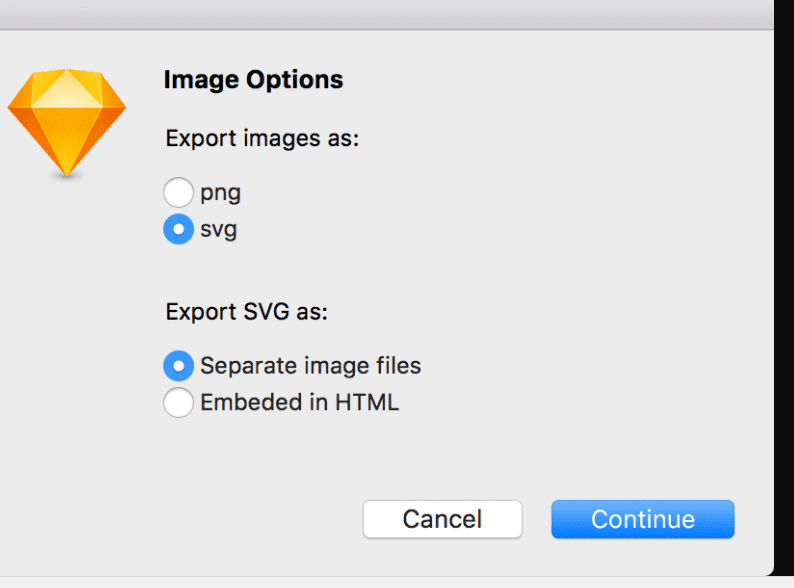 Choose the file format (PNG or SVG) in which you wish to export the layers. Next is selecting the location in which you wish to save the export. It is important to have a website design that functions uninterruptedly across all browsers. Earlier the browser for accessing any website was limited to Internet explorer, however, now, the choices have become diverse. There are multiple aspects that need to be considered. With the increasing number of browser and browser versions, it has become necessary for web developers to test their website across all of them. 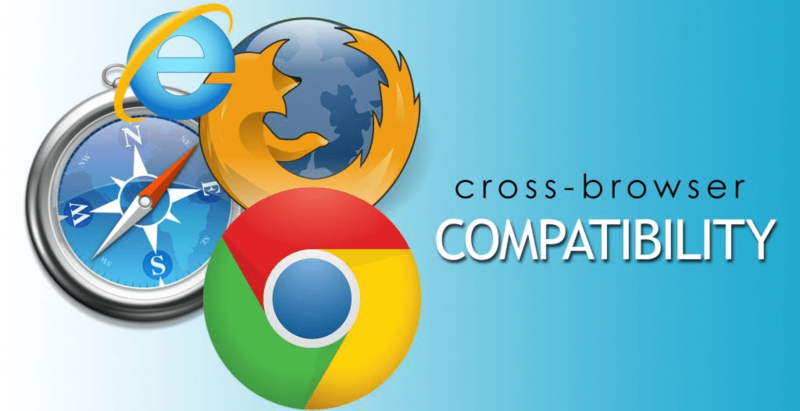 If you do not test all the web pages for cross browser compatibility, then you will be losing a large number of targeted visitors. Make a list of leading browsers and run a test across all of them. You will experience that your pages behave differently across each of them. Irrespective of the browser used, your web page must be accessible without any issue. It should not be deprived of its aesthetic appeal or content value. All the components must be displayed accurately without any glitches. This must be done on a consistent basis whenever a new browser or browser version is introduced. This will ensure a fully functional website for your visitors. If you are hiring a third party service provider to get your Sketch to HTML conversion done, you need to be assured that they are going to offer you pages that are cross-browser compatible. The ultimate objective of designing a website is to enhance the visibility of your brand on the web. This can only be accomplished if your website is doing well on top searches. While converting your pages from Sketch, you need to be sure that the page being coded is search engine friendly. This results into great coding skills along with a sharp SEO knowledge. One of the important ways this can be done is by assuring adherence to the W3C coding guidelines. If you are looking to convert Sketch files to HTML, you must have an in-depth know-how of how search engines will behave with web pages. Hence, this will affect the ranking. Venturing into your conversion efforts without paying attention to these details will pull your website in a wrong situation. It is important to keep a close eye on the page loading speed while converting Sketch to HTML. User experience is a key factor in making your website close to search engines as well as visitors. Websites with a better user experience rank on top searches and also catch the eye of visitors. Page loading speed turns out to be a crucial factor in deciding whether a website is user-friendly or not. There are multiple factors that decide the page loading speed. For example- large images that take extra space multiply the total number of HTTP requests. The larger the number of HTTP requests, the longer will be the time taken by a page to load. The size of images file should be kept minimum. Developers might face tough times in balancing the different aspects of page design, however, if you keep working for long, you will definitely master the art sooner or later. A professional Sketch to HTML conversion company could be of great help to get you web pages that boost productivity and user engagement. 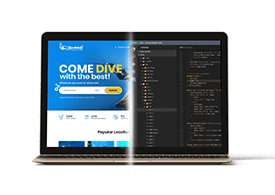 While converting Sketch to HTML, it is important to test the coding in real-time to deliver a website that is accessible across tablet, desktop, laptop and other digital devices. This conversion will offer your business a website that loads quickly without any distortions. This will prevent users from resizing anything manually to view the content. Sketch to Responsive HTML conversion will enable users to have a mobile website that looks and feels great, no matter how your clients are surfing it. Such design also makes it very easy for Google to index your website. Having a website that is responsive also gives you a competitive edge. With such a website, you can expect great sales. Being the most impressive designing tool, Sketch operates both on Android and iOS. It offers multiple opportunities for simplifying the website development. It features advanced set of capabilities that definitely adds value to any business, if implemented properly. For using the designing tool aesthetically, Sketch features smart guides to users in order to align everything appropriately over the web. This flawless solution offers developers the chance to view guides uninterruptedly. In this manner, developers can manage spacing between the objects with the help of an ALT key. This key needs to be hold down till the result displays. This attribute is found only in Sketch which is an ideal alternative to Photoshop. With this feature, designers can save the individual layers and can export objects to get retina-friendly visuals. The web development process gets faster with this interactive design feature. Everything in Sketch is in the form of vector. This amazing feature offers developers the chance to rescale objects without compromising on the quality. Art-board with pixel-perfect feature helps you get a pixel-precise website design. Sketch introduces countless number of canvas for the designers. This makes it easier to draw a wide range of artboards and view how things would function after finishing the design work. 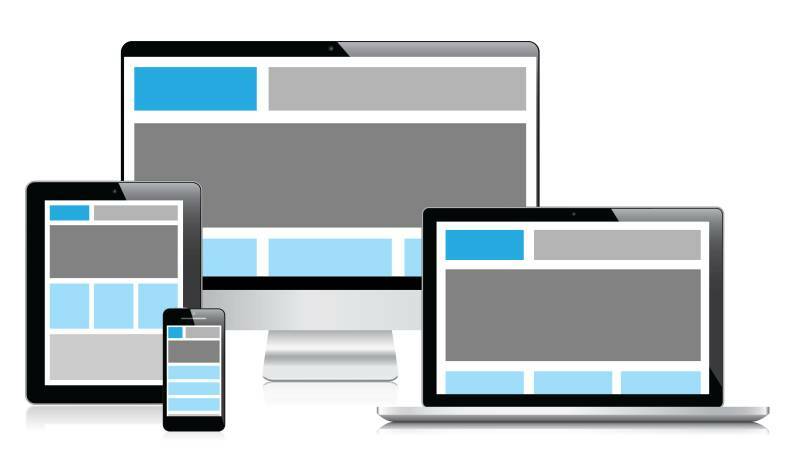 You can also launch fully responsive websites that can be viewed across multitude of platforms on varied browsers. 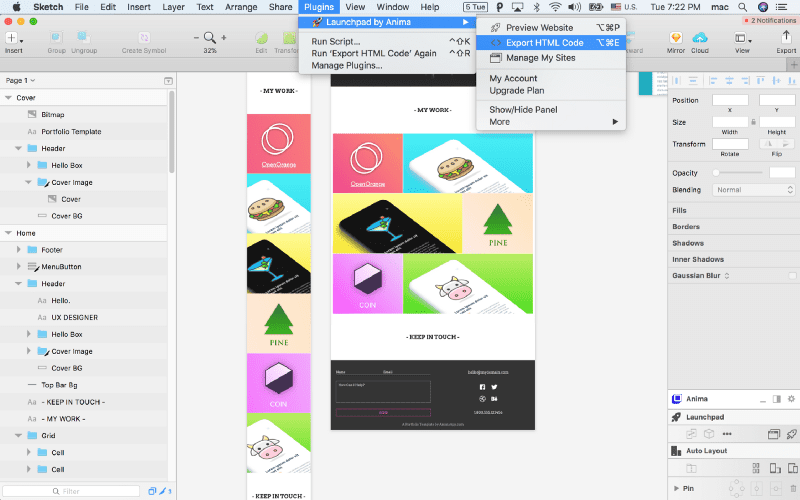 With the help of this functionality, Sketch helps the developers in aligning layers throughout. For utilization of the feature effectively, you just need to customize the column width in accordance with the expected web development requirements. Once you think, you are done with the entire Sketch to HTML conversion from your end, it is the time for a comprehensive quality check. This must be attempted by a professional who has a deep understanding and is easily able to find out the bugs. If you do not conduct quality check for your website, it could result into poor performance to the loss of sales lead. Besides, you can create a checklist for quality assurance and testing. This list must have the following points. All the pages both internal and landing pages should be converted and linked to the main navigation menu. The converted pages must match the design in Sketch. Along with design, color and font used should also be in close coordination. The links on homepage and inner page must be tested. The logo must be placed correctly in the HTML design page. The images in the website must be optimized carefully for faster website loading. All the images must have an alt attribute. Text must be formatted precisely. Text must include H1, H2 and H3 tags. Cross-browser compatibility must be tested. Page loading speed must be evaluated. The website navigation should be working uninterruptedly. These parameters should be assessed before launching the website on main server. The increasing demand of Sketch to HTML conversion has compelled many players to jump into the industry. Therefore, one must choose a service provider carefully. There are multiple factors to decide the right one, like experience, total duration in the industry and so on. At HTMLPanda, we have several years of expertise in delivering consistently remarkable website development and conversion services. Along with a great experience, we also stand forth in great client servicing. We have acquired a huge, satisfied and happy consumer base. You can also have a look at our impressive portfolio that showcases list of some strong and reputed clients. Having a look at our past work will help you acquire a better understanding. You will be able to decide whether we will be able to meet your requisites in terms of quality and standard of work or not. 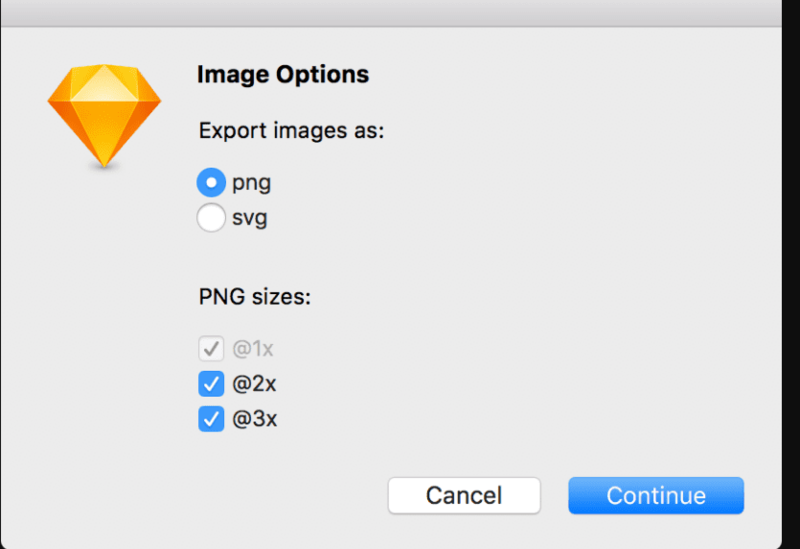 There are multiple challenges associated with Sketch to HTML conversion. Since there are many roadblocks that come in the way, you must ask yourself whether it is worth the effort to struggle through the conversion process or not. Since the conversion process is quite complex to understand and requires loads of time, most of the businesses prefer hiring third party Sketch to HTML conversion firms to get their markups ready. Getting the work processed directly from third party conversion provider helps in maximizing the overall productivity. By outsourcing Sketch to HTML conversion provider, businesses are able to serve more customers in a shorter time span. Hiring third party service provider will save a lot of time. You will be getting quality rich, top-notch and pixel-perfect website. If you hire an experienced firm, chances are you will be able to avoid business risks. On getting the work done by a third party service provider, you will be able to improve the overall turnaround time. This will impress clients. Attracting increasing number of customers with the rich quality of designs will also become easy. A fully functional website with the right design idea will be presented before your clients.